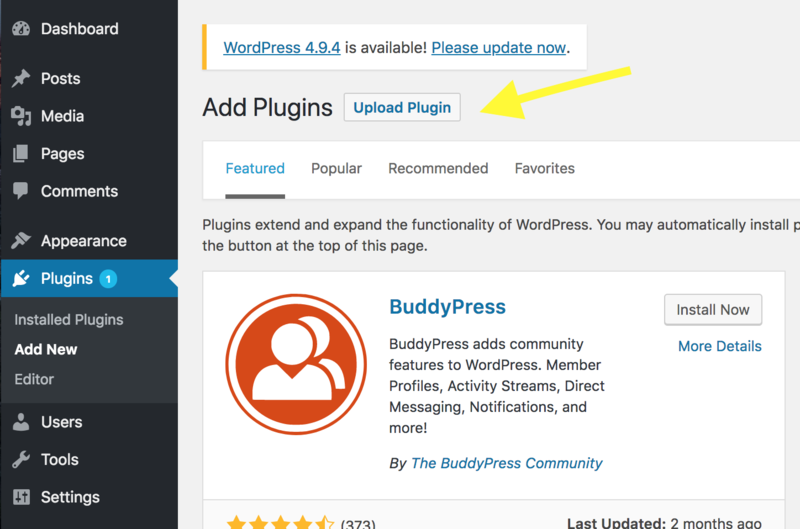 Follow the steps in this video to install the zip file for your Smart Podcast Player WordPress plugin. A .zip file to download the plugin. 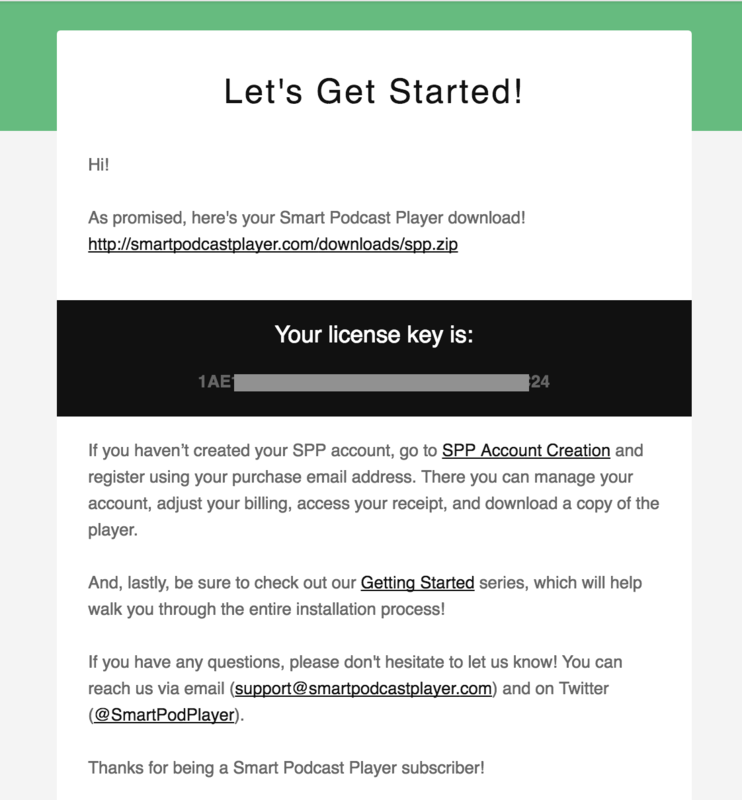 The email subject line is: "Smart Podcast Player License Key." Login to my.smartpodcastplayer.com with the email address you used to purchase your player (you probably created an account when you purchased; if not, create one now). You can download the plugin again under the My Account dropdown (orange circle). You can retrieve your license keys under the License Keys section in the left-hand menu (red circle). In the left-hand menu, click on Plugins. This will take you to your plugins menu, where you’ll see all of your previously installed plugins. At the top, click on the Add New button. From here, click on the Upload Plugin button. Click on Choose File and find the Smart Podcast Player .zip file that you downloaded. Click Install Now. 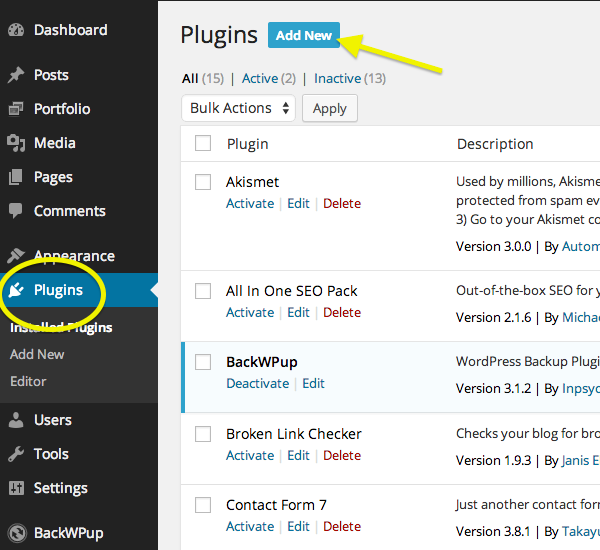 Once you have installed the Smart Podcast Player plugin, WordPress will ask if you would like to activate the plugin. Click on the word Activate. Finally, you will need to add your license key to the Settings menu. Click on the Go to Settings button, or navigate by going to Settings --> Smart Podcast Player. Copy your license key from the email and paste it into the License Key box. Click Save Changes. You’ve now successfully installed the Smart Podcast Player plugin. Let’s get it configured for your podcast.